GLS5 Sunglasses size 5 7/16 X 2 1/16 ". 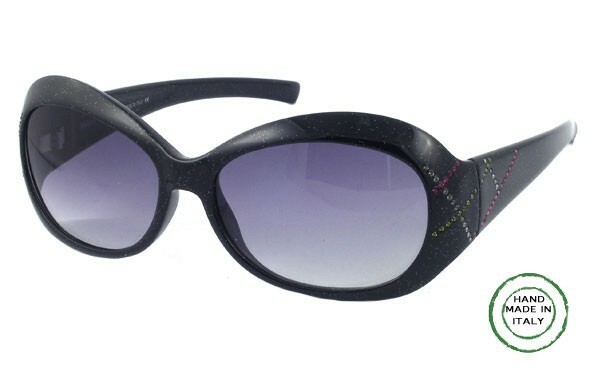 The gentle curve to these fashion sunglasses wraps around the face with ease and comfort. 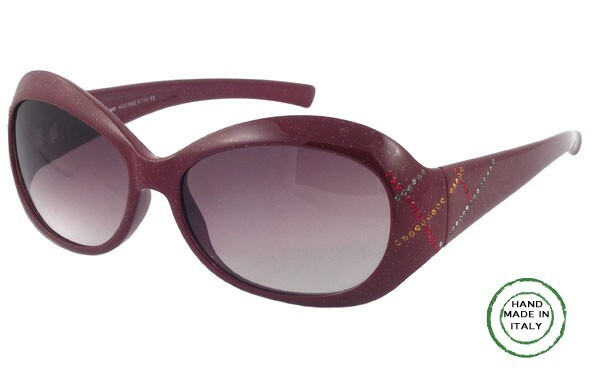 An extremely elegant and sophisticated sunglasses, full of attitude. Small, colorful Swarovski crystals decorate both edges and give a hint of flare. A very attractive women look. Made in Italy. Optical lenses - UV 400. Also available as READING GLASSES.